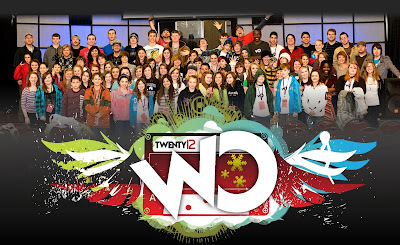 Just wanted do a quick post celebrating what God did at WinterCampTwenty12, and the people He used to make it happen! Major kudos to ALL the volunteers who gave up time, and energy to make this incredible event possible. We had nearly 100 ppl take over Black Mountain for a few days. And when I say take over, I mean TAKE OVER! Special thanks to Kevin Kennedy and Samuel Donahue who literally pulled off an incredible weekend at the Blakeney Campus all while leading an entire crew of band members, setup team, and tech crew for WinterCampTwenty12. These guys absolutely freed me up to prepare to teach all 4 sessions and connect with our kids and small group leaders. THEY MADE THIS THING HAPPEN! The sessions ROCKED. They were a ton of fun with some insane games. Special thanks to Kirsten Kennedy for making things very engaging. The staff at Blue Ridge literally said "we've never seen a production like this here before!" Also, special shout out to my wife, and her team of student volunteers who COMPLETELY handled all of registration, and those guys had the system down to a science. I have already heard from 2 different parents that said they really appreciated the organization when they dropped their kids off, made them feel much more secure. We had Ron Alexander over all of transportation and had literally NO issues! Thanks man. Kay Pearn and a couple others completely took care of all the food for the ENTIRE weekend. She did a great job and the meal times went great. Because so many volunteers were willing to go, we were able to have a 5 to 1 student to leader ratio which was perfect. Could not have been better. We did a lot more this year than before as well. We not only had incredible sessions, but we also had a campfire and prayer time by the lake on the last night, plus we took the entire group to Linville Caverns! Finally, and most important. We had 9 students come forward and make decisions for Christ for the very first time, we had 39 students recommit their lives to the Lord, and we even had 1 girl who absolutely was not leaving until she was baptized. No negotiations :) I'm a pastor, so obviously, I wasnt going to try and talk her out of it. 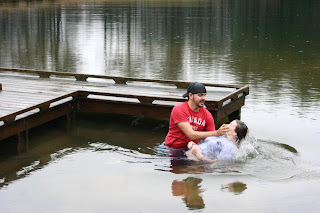 So, in 36 degree pond water, we had a first time camp baptism on the final morning. 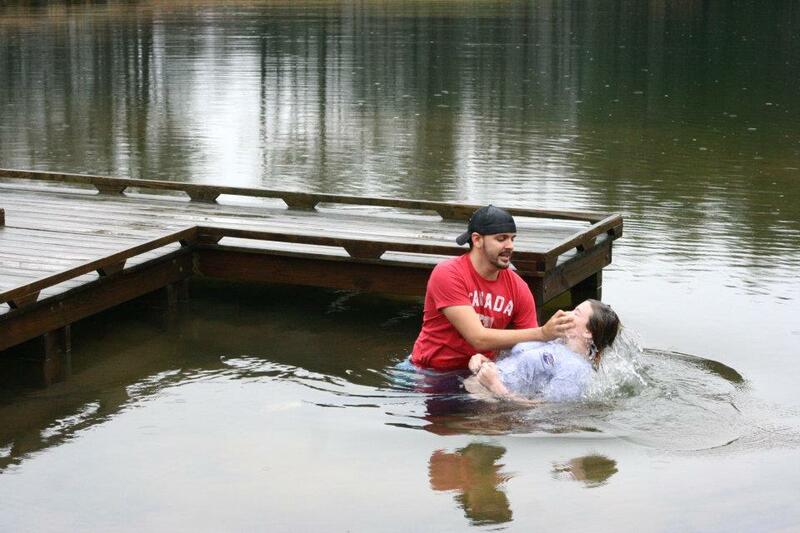 She was crying, I was freezing, and God was glorified. Other than the kids spending all their money on junk food and monster energy drinks and having little to none left for the ride back for a meal, the camp was a complete success. 1.) God showed up and did His thing! 2.) Volunteers like these invested their time and energy into the work God was doing. 3.) Faithful people of NLC give generously on a regular basis to ensure camps like these are possible and affordable for every student who wants to go!